Update: We spruced up this post so that it contains all the most up-to-date info on Average GRE Scores for 2019. Enjoy! Our students often ask us, “what’s the average GRE score?” Before ETS released the updated version of their Snapshot report for GRE takers, we couldn’t provide a simple, straightforward answer, but now we can. The 50th percentile, or “average GRE score”, is about 304, or 151 for verbal and 153 for math. And the AWA average is 3.6. Is it really that simple? No. And read on to find on why. Is the average GRE score important? No. The averages above were calculated based on results from over 500,000 students who took the GRE between July 2013 and June 2017. (It’s now 2019 – things change!) This is a diverse group of students, applying to many different programs with many different requirements. As you’re applying to graduate programs, the average score of all test takers is irrelevant. For you, the average GRE score for your particular program at your target school is much more important—this is the score you need to exceed. For example, students in the top 10 engineering programs have an average math score of 166, so if you are applying to the best engineering programs, you should aim for a math score higher than the average of 158—preferably above 160. The table above provides a helpful baseline, but note that these are average scores for all schools. I highly recommend doing research for the specific colleges and universities that you are targeting – and make sure that it’s the most recent info. How do I find the average score for my program? Research schools in that program by using a site such as US News and World Report. If the averages are not listed on the site, email the colleges directly. This steps takes a bit of work, as you’ll need to find the correct department and email address, but it’s well worth it. Read this article which provides some detail on how to identify a good GRE score. Bonus Step: Take a look at our GRE Scores infographic to identify the average, good, and great GRE scores for admitted students in your chosen discipline. Also remember that GRE scores last for 5 years. So in many cases admissions committees may have averages on the old scoring scale. Here’s a handy GRE score conversion table in case you need to determine what your score would be on the old scale. U.S. citizens on average score about 6 points lower on math and 5 points higher on verbal than non-U.S. citizens. Aland Islands has the highest average math score at 165.4; only China, at 164.8, comes close. New Zealand has the the highest average verbal score at 159, with Australia a close second with an average of 158. Engineering majors have the highest average math score at 159.6. Humanities and Arts majors have the highest average verbal score at 156.0 and the highest average AWA score at 4.1. Try not to worry about the overall average GRE scores. Focus on your target program and school, and then focus on your GRE prep. My GRE score is 323 Q 167 V 156 AWA 4 and my TOEFL score is 114 also my CGPA till 6th semester is 8.1 i am looking for admission for MS in CS Fall 2018 i have work exp of 12 months and My Final Year project is relavent to the field of study i am going to opt for (it’s also and industry based project) What are my chances in Universities like Purdue , Georgia Tech , Yale,Columbia,Brown,UC-San Diego and Irvine and Texas A&M Univ. to PhD Econ Program in the US or UK (very good schools, but not Havard, MIT or some schools like that). Is my low verbal hurt my chance to be accepted? I graduated Master program from a univ in Japan (among the top ones) with highest GPA and received Academic Prize for the best thesis. May my Master profile somewhat offset the low GRE score? On the test day, after taking the test, will I see the score first, then decide to send it (or not) for free? Or I decide to send it or not first, then I see the score? Thanks. Thanks for the reply. I read this before. It seems I will read the unofficial scores first, then send it free to selected schools. Just wanted to confirm I am reading it right. Thanks. I took GRE in July and scored a 327. Ouant: 170, Verbal: 157, AWA-4. I went to Purdue University and graduated in Industrial Engineering with a 2.63. I have hopes set on entering a good B school after 2 years. I am currently working as an Applications Engineer in Hexagon Metrology. Do you think my GRE compensates for my CGPA? What are some other things that I need to do to get into a good B school? I am looking to get into a top ecology and evolutionary biology program (such as U Chicago, Princeton, UT Austin). I am somewhat concerned that the quant score might be in the low realm. Do you think this score will preclude admission? Or do you think this is sufficient? Congrats on the great score! We unfortunately don’t have nearly as much expertise and experience in graduate school admissions as we do with test prep, so I’m afraid we can’t be of much help. With regard to your specific programs, it may be useful researching your target programs to see where you stand with regard to your Quant score (median or upper 75 percentile). I would also recommend utilizing resources such as thegradcafe.com. In 1st attempt for GRE, I got 318(Q 164 V 154 AWA 4.5) and in 2nd attempt I got 335(Q 170 V 165 AWA 3.5). In my 2nd attempt, my total score has improved but AWA has gone down. Is it gonna be a problem for me ? Should I sent both scores to universities or only the latest one ? As a general rule, universities only want to see one score. Your lower AWA score could work against you, if you are applying to a university that places a lot of emphasis on AWA in admissions decisions. Every university has different policies, so contact your target schools and ask them for advice on exactly what you should do. University admissions offices are used to getting questions like this, and can offer helpful advice. My GRE was yesterday and I’ve sent the scores to three institutions. Now on my ETS account appears the major I’ve selected yesterday, my personal info, but the Designated Score Recipient(s) are missing for some reason and I am pretty sure I’ve sent the scores to the departments and so on. What should I do, is it natural to have all my other data appear, but not this crucial piece of information? I took GRE two times, first 312 (166Q, 146V, 3,5 awa) and 313 (163Q, 150V, awa not yet). My aim is to apply phd in business at top 20 school. I have 7 years experience at multinational FMCG companies including manager responsibility in last one year, having industrial engineering bachelor degree and MBA degree..
one thesis written, not published any journal.. I would recommend looking at the GRE score range for accepted students within your target programs. In fact, it may be helpful to contact some of these programs to get more information. If you are lower in the range and you have flexibility in time, I would recommend that you retake the exam. I have scored 312 in GRE (147V+165Q). I have 3.95/4.0 overall GPA and 3.96/4.0 major GPA, TA and tutoring experience, and strong LORs. I want to pursue an MS in CS in Fall 2017. I am targeting schools like UCLA, UT-Austin, Georgia Tech, and UC-Irvine. Will my GRE verbal score hurt my chances? I got a score of 323 in GRE in my first attempt(Quant: 170 Verbal: 153 and AWA:3). In order to increase my AWA score, I reattempted the test and got 321(Quant: 170 Verbal: 151 and AWA:4). Assuming all other factors related to profile are not an issue, which score should I send to the universities. Does the 2 marks in verbal section outweighs a one point in AWA. I am considering top Universities in Mechanical Engineering. Unfortunately, this is a difficult question to answer. I recommend that you look up the average scores of your target schools and do some research to see how important the AWA scores are. For a mechanical engineering degree, it could be that the most important score is the quant one (which you excelled in for both tests), and the other sections don’t matter as much. Once you get a sense of what the school’s averages are, you can make a decision. If both verbal scores and AWA scores are at or above the average, then it probably doesn’t matter which score you send. You can also send both tests to show that you are able to score a 153 in verbal and a 4 in AWA. Even though it wasn’t the same test, this shows that you have solid verbal skills for both sections! Is the GRE score 302 ( Q 158 and V 144) good enough for applying into rank 50-100 universities for MS in CS ?? Or should get more score . I got a 153 quant and 150 verbal and i would like to know if that good enough for an MBA at the university of miami (coral gables). from what i saw its in their ranges…but i dont know.. I am looking forward for masters in Development Studies/ allied subjects. Targeting universities as IDS, SAOS, ISS, Wageningen, Harvard, etc. I am looking forward for a full scholarship. Can you please assist me with score range with which I can get 100% scholarship in top 15 universities for development studies. It’s hard to get into specific GRE sores for scholarships, because Ivy League and top school scholarships weight a lot of different factors, and not just GRE scores. With your profile, to have a shot at these schools and a shot at scholarships, you’ll want at least a 300 combined on the GRE, with 150 or more in both Verbal and Quants. The higher you get above these benchmarks and the better your AWA score is, the better chance you have at both acceptance and a full scholarship or something close to a full scholarship. I scored 144-v 164-q and I want to apply to msc econ. One of the schools i am interested in says they want a minimum score of v-150 q-155 is this minimum a must. Will my verbal score be an issue? Sir,i tried to reach many counselors, many forum still nobody is able to clear idea to me. Second attempt , 163-q,148-v,2.5 – awa. Sir, I have gre score of 316 (v-153, q-163, awa- 3), i am willing to apply for phd in astronomy in US. my phy gre is 920. i have gpa if 6.5/8, and i am from india’s premier institute iisc. i have good amount of research experience but don’t have any publication. do i have a fair chance of getting into top 50 colleges? please suggest me some colleges based on my profile. thanks in advance. As we’ve mentioned in other responses, we at Magoosh don’t have as much expertise in grad school admissions as we do in test prep itself. So, unfortunately, we can’t give much insight in terms of your question. I would recommend exploring forums such as The Grad Cafe or further researching the top 50 schools to better understand student profiles. I know this might not be the right place to ask, but it’s worth the tr! I’m very worried about the GRE overall, but especially about the Quant part. I’m aiming at PhD programs in Comparative Literature and I was wondering how much attention they usually give to those sections. So far I’ve studied in France and have not done math since junior high – and was bad at it anyway… Thanks! The answer varies across programs, but I know that many programs that definitely do not need math skills to a high level (like comparative literature, I would say!) do not care much or only want to minimum level of quant on the GRE. You should see what the programs you like are asking for, and if they don’t specify, ask! 🙂 You might find that they don’t even look at the quant part at all! HELLO! I’m sure you’ve answered this question for a few others but I figured I would give it a shot for my own personal scores. So I took the GREs today and got a Q-148 and V-150. Of course I’m waiting for my AW scores to come in…I’m applying to Public Health programs some time next year and I just wanna know how long I should wait before retaking the exam. I feel like my scores are barely average. I took this test just to see what I am without really doing a lot of studying. Ah, the test run! Sometimes taking the GRE with little study is one of the best ways to figure out your baseline performance and kick off your real GRE prep. I will say that Q148 and V150 aren’t bad for taking the test with little study. How long you wait for a retake depends– of course— on how long you need to study. To work this out, research the GRE requirements of programs you want to apply for. Public Health grad programs have varying GRE requirements, so it’s best to check with specific schools. 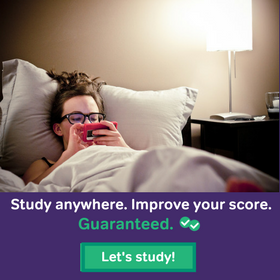 If you just need to boost your scores by a few points, a month of study ought to do it. If you need to improve by more than five and perhaps 10+ points in Q and V, then a longer study plan– perhaps 3 months or more– may be a better approach. 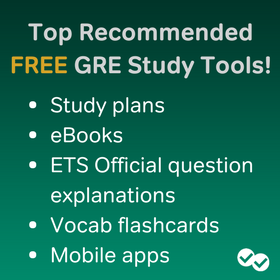 To get an feel for both long and short term study plans, check out Magoosh GRE’s Study Plans page. I wrote my GRE today. I scored 314 (V: 156, Q:158). However I am very disappointed with my Quant score. I have an engineering background and want to pursue MS in mechanical engineering. Though I expected around 160 in verbal I am ok with my socre. I had a lot of help from Magoosh blogs about how to approach verbal section. But I cannot stop the urge to retake GRE to improve Quant score. I used to score around 164-165 during my mock tests. But on the exam day I got nervous and missed about 2-3 questions in Quant section. Shall I retake my GRE or is my score fair ? Please suggest ? The decision about whether to re-take is one that only you can make based on your circumstances and which schools you want to attend. I know it’s not an easy decision, but we do have some resources that can help you out! Can you tell me the GPA on a 4.0 scale for 5.9 cgpa..???? CGPA to GPA conversion can be a little tricky. As you may have already discovered, the conversion scales you’ll find online don’t always give the same results. The best breakdown I’ve seen of CGPA and GPA equivalencies is this post in the GMAT Club forums. It would place your CGPA 5.9 at around 3.5 on the GPA scale… with some caveats. I recommend reading through the whole post. It’s quite helpful! I took GRE test today and scored 146 in verbal and 170 in quantitative… Analytical Writing scores will be known several weeks later. I plan to send application in top USA and Europe universities for PhD Economics program. What do you think about my chances of enrollment? It is hard to make a blanket statement for all those universities, but your quant score should surely help! You should research whether they have explicit verbal requirements or not–some schools will and some will not. If you think you can improve on your verbal score, it might be very useful to retake the GRE trying to raise your verbal a little. In my experience, economics programs want at least slightly above average verbal abilities since there is some degree of written communication expected. Thanks a lot! I also would like to know if the GRE scores are evaluated as combined or on average For example, in my case, its 316 (146+170) and 158 (146+170)/2. I often see the posts how students are excited about their 315+ GRE score. Combined GRE scores are the scores added together. That is: verbal score + quant score = combined score. So a student that gets a 155 in verbal and a 160 in quant will have a combined score of 155+160=315. Yeah, and my question is how good the combined score of 315 is. I scored a Q-166 and V-161 total:327 on my GRE but my AWA score is just 4.0/6 ….I am quite concerned about by AWA scores hampering my admissions.Any advice that you can please give? First of all, congratulations on the amazing GRE score!This really depends on the school and program that you are interested in! If you are entering a quant-heavy field, then a low AWA score likely won’t matter. If you want to enter a creative writing program, on the other hand, it might be more important! I suggest that you contact the admissions department of the programs you will apply to and ask them how important the AWA score is in their admissions decision. Chances are that with such a strong academic and extracurricular background with your amazing scores, the AWA score won’t be that important! Yes, I am planning on a MS in Electrical/ECE…..so I am guessing that AWA scores won’t be that imp as compared to Quant scores…. I had scored a 340 in 2015 on my 1st attempt. Could you please help me with some stats around this: a) what percentage of test takers score 340? What percentage of attempts (1 test taker can take the test thrice, for example) score 340? b) Similar data for each of the 2 sections: what percentage of people score 170 on the QA and VA sections respectively? c) what are the numbers for only India? How many Indians have scored a 340 till date as well as only in 2015? I need this data urgently and would be immensely grateful for any help. I just answered GRE today and likely score is Q-149 V-153 and writing 3.5 to 4. Is this the final score or final score could be different than this. Will I get admit in tier 2 or 3 universities for MS in Mech Engg. Request your views/ guidance. GRE scores are averaged based on the relative difficulty of the questions you answered. SO it’s likely your !-149 and V-153 will change slightly once your official score is calculated and released. Your Quant score is somewhat low by the standards of engineering averages. Your Verbal score is good by average standing for engineering grad students, but engineering graduate programs don’t necessarily put a high value on Verbal performance. I’d say your Quant of 149 could be an obstacle to acceptance into some tier 2 schools,a nd possibly even some tier 3 ones. But the best way to know for sure is to contact your target schools and ask them. If 149 really is too far below average, consider a GRE retake to boost your Quant score. I got 318(Q:164, V:154, AWA:4,5) on the GRE test and 105 on TOEFL(R:28, L:29, S:22, W:26). Would my low speaking score of 22 hurt my chances of getting admit for MS in CS? Do I need to retake TOEFL to improve my speaking score. I have shortlisted the below universities. Can you please evaluate whether the below universities are safe. moderate or ambitious choice. Please advise other universities if they are more suitable for my profile. TOEFL – 105(R:28, L:29, S:22, W:26). 2 Summer Internships in B.Tech on Robotics & Computer Networking. Won Coding Competition of my University 2 times and organized the Coding Competition in Final Year. Few other awards in extra-curricular activities. I hope this helps, at least a little! Hey, I have a gre score of 325(167 quant,158 verbal) and an awa of 4.0.I want to have a shot a of getting into colleges of the caliber of Caltech,Berkley for a course in Computer Science.So would I need to retake the gre?I am a bit concerned that my awa score isn’t high enough. 1. How are the rest of the pieces of your applicant profile? 3. Have you tried looking online for other students who have gone into that program who share their stats? Sir, i recently took my gre exams and got a score of 303. 159 quant(maths) n 144 verbal . My grads cgpa is 9+. My AWA score is yet not out. Can you plz suggest me the colleges im eligible for. Am i eligible for the schools of US, specifically California? You may very well be able to get into California schools, but you have a lot of other factors to think about–the program, the requirements for each individual university, the quality of your SOP and writing samples, etc. You need to look at schools which offer the type of program you want and make a list. Once you have that list, look at each school’s requirements for entry (they are all different with different cutoffs and suggestions). Once you have that information, you can make the best and most informed decision about whether you are eligible for what you specifically want to do or not. But, got awa score of 3. Will it damage my profile? Do I need to reappear for the exam? This is a tricky question. A number of graduate computer science programs don’t actually have specific AWA requirements, as CS programs tend not to place too much importance on AWA. And then there are a number of CS programs that set a low cutoff for GRE AWA– usually 3. And there still are at least a few competitive programs out there that would want to see an AWA higher than 3. So you don’t necessarily need to do a GRE retake. But you should really check the requirements of your target schools before you decide whether to retake the GRE or just move forward with the score you have. what universities i can apply for fall 2017 ? * What is a Good GRE Score? As you’ll see, score requirements depend on both the universities and the programs you’re interested in. Some universities mentioned “Minimum GRE Score” in their admission requirement. How much shall i score to fulfill that. All universities have different minimum scores, so there is no answer I can give. You have to research the score requirements of the schools you’re interested in attending to determine the appropriate score to gain admission. Hi … I have important question about my score .My total score in GRE is 293 ( verbal : 140 . Quantity : 153) . Is this score too low for biomedical engineering master ? Took my GRE two days back. Scored 316 (Q168 V148), Will the low verbal scores affect my PhD admissions to the universities like TAMUC, UT Austin in the department of Mechanical Engineering? Firstly, congrats on taking the GRE and your excellent quant score! Additionally, I’d recommend directly contacting the schools/programs you’re interested in to see if they can offer any insight, or check out the programs’ websites to see if they have any info! I hope that helps at least a little! Hi I have 138 Verbal, 134 Quantative and 3.5 Writing. I have met the average passing mark for enrollment? It is possible that you could enter some universities with those scores depending on the program, but more likely than not you will need a higher GRE score all around. You should start by doing some research to find the schools you wish to enter. Once you know that, then you can set a new goal and study for a retake! I have taken General test in 2014. My results of scores are 147 Verbal, 154 Quantitative, and 3.5 AW. Can soeone help me to calculate my score? How is it calculated? I have no clue. On the other hand, the AWA section is scored on a scale of 0-6, which is an average of the final scores on the two essays. So, your final score on the AWA section was 3.5. Internship of 2 months from IIIT -Hyderabad in Machine learning. Have job offer from deloitte USI as data analyst. I want to pursue M.S in data analytics after 1 year of experience. Should I retake GRE to get a top notch in best schools ? Suggest me schools with this score! I did a quick search across a few universities and it seems you will want to aim for a 325-330 score (or higher). For example, Stanford’s admissions says that the average admitted applicant in their relevant program gets a Verbal 83% (159-160), Quantitative 91% (165-166), Analytical Writing 52% (a little more than a 4, probably). Hi sir..my name is SANDEEP n I get 280 in my GRE.(140+140). With this score am I get seat in USA to pursue PhD..what I want to know is this is average or low score?? Can i take test again? ?Kindly reply me as soon as possible. Since you’ve taken the exam before, you’ll also be eligible for our score guarantee: if you meet all of the requirements and don’t raise your score by 5 points, you’ll receive a full refund! Clearly, your total is 146+157=303, which means you scored 43 out of 80. How good is my chance? How badly low AWA score affect me? Should I consider retaking it? Plz Help!! What percentile would an old score of 2360 out of 2400 equal, with 800s in the two logic sections and a 760 in the verbal section? Hi, I have Gre score of 283. I have passed by B.Tech in CSE with 74%. I had done 3 internships in good companies. Just wanted to say that I used your Magoosh vocabulary app for Android as my exclusive study prep for the verbal section of the GRE. I tested in pretests around a 148, and after a month of studying (perhaps 2 weeks of using your app daily), and I just took the GRE and scored a 160 on verbal. THANK YOU for supplying this app for free. It was very helpful to me. I am going to appear for GRE on June 9th . I did a practise test provided by ETS in its prep software and scored 149 in verbal and 155 in quant. Is it possible to improve my score in 1 month time? Hi Swapna! You can definitely improve your score in a month. I recommend checking out our study plans https://magoosh.com/gre/gre-study-plans-and-guides/ which give you step by step advice. Good luck! I scored 321 on my GRE (v-154 q-167)……But my AWA score is 3.0…..i want to do my MS in Computer Science i know the AWA does not get me into any top 20 universities but do i have chance of getting into top 50 or anything closer my Acads are 77.38% B.E. i have to give my toefl in the future please can you give me some advice should i retake…..
Hi I have 147 Verbal, 152 Quantative and 2.5 Writing. Is it sufficient to enroll in agricultural science. Hi! My GRE score is a 311! 150 in verbal and 161 in Quant! I intend to pursue Computer Engineering and my colleges of choice are ASU, USC and NYU.. And my CGPA is 7.0/10 Should I retake GRE? Or are these scores satisfactory? Hi Sanjana, unfortunately we’re not admissions experts. I recommend reaching out to those schools directly and asking them about their average scores and your chances for admission. As you mention above, I use a site such as US News and World Report to try to find average GRE score for my program(EE), but unfortunately, all the school’s data in US News and World Report are encrypted unless you pay money. Worse more, i also enter some college websites but find they don’t provide average or minimum GRE score So, are there websites which are free for us to find these data and what need i do? By the way, I recently got 157+168 and my aim is top10 Schools for MS and top30 schools for phD. My major is EE, so according to your rough evaluation, is it my score enough? I’m afraid my AW can only be 3 or 3.5, is AW important? Unfortunately, there aren’t any websites that I know of that provide score information for free. You can try calling or emailing the school directly, and they may provide the information. I also can’t effectively comment on your score. Each school and program has different requirements, sorry! Why do people keep asking you admissions questions when you do not work with admissions? I am planning to do an MS(Eco), but my grad score is below par.. Its 59.7%, which means a 0.3% below the 1st class result level.. I checked out a couple of universities and they have a minimum admission requirement of 1st class result..
Are there any universities in US that don’t have such criteria? Coz my plan of preparing for GRE rests on this basic issue..
Hi Arora, unfortunately, we’re not admissions experts but I recommend using a resource such as US News and World Report! Thanks. I have scored 151 in quant and 151 in verbal .should I retake GRE?. Hi Deepthi – It’s really depends on the schools and programs that you’re applying to. I recommend reading this post https://magoosh.com/gre/2012/what-is-a-good-gre-score/ and following the advice there about reaching out to specific schools/programs. Thanks! My GRE score ( Math 161 and Verbal 143) but in AWA 2.0 . Can you tell me is it OK? can i apply to the universities in USA for MS in computer science. please reply at earliest as possible. What do you think about my chances? I scored a 148 on quantitative and a 155 on verbal. I have a GPA of 3.4 with my last 60 credits being a 3.72. I have 2 years teaching experience and 3 years research experience with two published papers. I am applying to a handful of plant breeding and genetics programs. Can i get into a phd program? i got only 300/340. quant- 156/170 and verbal-144/170. is my marks good enough to get a descent engineering college for master programs? please help. I took GRE thrice and I scored 302,303 and 302. I guess I’ll use 303 as my main score.My undergraduate percentage is 76%, 12th is 87% and 10th is 92%. Will I get a decent university for Computer Science. I’ll be taking TOEFL in a couple of days. Please do let me know your insights as I’m really tensed. Unfortunately it’s difficult to say how these scores will work out for you. I recommend following the steps we outline in this article to assess you chances (https://magoosh.com/gre/2012/what-is-a-good-gre-score/). Unfortunately it’s difficult to say how these scores will work out for you. I recommend following the steps we outline in this article to assess your chances (https://magoosh.com/gre/2012/what-is-a-good-gre-score/). Hi, I have a score of 329 (165 in Verbal + 164 in Quants). But my AWA score is 4. How bad will this affect me if i apply for top universities. I mean, how important is the AWA score? Thanks. Hi! All schools/programs view AWA differently. While, in general, I wouldn’t worry too much about AWA, it really depends on the specific programs you are interested in. I recommend reaching out to those programs. Lastly, a well-written personal statement can help show that you have strong writing skills despite a weak AWA score. I have a GRE score of 318 (Quants :161 Verbal :157) and a CGPA of 9.03 in Instrumentation & Control Engineering… I would like you to recommend me some Universities in US for MS in ECE. I was wondering where I can find (if they exist!) some stats on the average AWA score for non-English speaking test takers. Hi Patty! Unfortunately, we don’t have that information right now. I’d recommend reaching out to some of the schools you are interested in and asking them directly. Thanks! Hello, I have scored 303 in GRE (Verbal 139, Quants 164 & AWA 3) and 93 in TOEFL. I have an engineering degree in computer Science B.E. with aggregate of 72%. I have 1.2 year of Work Experience as if now in an MNC. My B.Tech(Computer Science) % = 65% from ‘B’Grade Govt. University in India. I am applying to North Carolina State University. Is there any chance getting admission there? Kindly recommend Me some more universities for MS in Computer Science. Hi, can you post a conversion table to convert raw score (#questions you get right) to your GRE score? Great question! Unfortunately, the conversion isn’t straightforward since the sections are adaptive. For instance if you get 18 correct in the first verbal section and 10 correct in the second section, you’ll get a different score than if you got 10 in the first and 18 in the second. We’ve built an estimator within the product based on previous students’ performance within Magoosh and their actual performance on the GRE–however, it’s an estimate not an exact score. I know that’s not the answer you were hoping for, but I hope it helps! Hey, I have scored 311 in GRE (Q-162,V-149),4 in AW,TOEFL-101(Writing-29) and i have a CGPA-7.62/10 with junior/senior year CGPA-8/10.Please tell me what are my chances in below universities. I am very much interested in ASU(Electrical-VLSI). Hi Shahid – Unfortunately we’re not admissions experts. You might find this article helpful in determining your chances (https://magoosh.com/gre/2012/what-is-a-good-gre-score/) Hope that helps! I wrote the gre and had a low score of v132 and quant 142 and want to study in canada, can i be considered anywhere with the score? I have scored 330 in GRE (170 Q+ 160 V). My TOEFL score is 112. I am doing B.TECH in Computer Engineering from NIT. My current CGPA 7.7/10. I had scored 98% ( 100% in Maths, 99% in Chem & 95 % in Phy) marks in XII (CBSE, India) Examination. I want to apply for MS in Computer Science/Engineering in the Top 10 Engineering Schools viz. Carnegie Melon, UT Austin, Cornell , UCLA, plus some other schools ranked in the range 10-20 . Please let me know if I will have a chance of getting admission in these dream schools. Hi Chirag- Unfortunately I don’t know the specifics for those schools (we generally can’t provide specific admissions advice.) I recommend contacting the schools directly and asking. You can use the plan outlined here: https://magoosh.com/gre/2012/what-is-a-good-score-on-the-revised-gre/. I hope that helps! 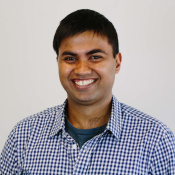 Hi Bhavin, I was wondering was the average was so seemingly low. Just like other standardized tests (like the SAT, for example,) it is ranked from 200-800 (like the SAT’s subsections,) in which 500 is the average score. But here, the average is 300? Why is that? Good question! The GRE has a new scoring range as of August, 2011. It now ranges from 130 – 170 for math and 130 – 170 for verbal. The overall range is 260 – 340, so 300 is right in the middle (just like 500 is in the middle 200 – 800 for the SAT sections.) I hope that helps! Hi Magoosh. I am a white, 26 yr. old male from the U.S. who recently took to the GRE for the first time and received a 168v, 159q, and 5.0 AWA. I am interested in applying to Harvard’s dual MBA/MPP program. Do you think those scores are competitive enough or that I should reconsider taking the test and aim for a higher quantitative score? I am not planning on taking the GMAT. Thanks!!! Hey Scott- – unfortunately, we’re not admissions experts, so it’s tough for us to help. I recommend following the steps in this article to learn more about your score in relation to Harvard’s MBA/MPP program (https://magoosh.com/gre/2012/what-is-a-good-score-on-the-revised-gre/) Hope that helps! I am Subin Joseph.I appeared for GRE last weekend and got 305. (verbal-144 quant-161).Can you guide me that what are my chances to get in to a abouve avg univesty which offer MS in Computer Science(Networking)? Iam 2012 BTech Graduate and passed CSE with 69%. I am Srikant Aggarwal, a Software Engineer from India. I have an experience of 5 years in Software Development (Mobile Apps/Games/Game Engine/UI Development) and I wish to join a Prestigious US University with specialization in Gaming/Graphics domain. I recently gave my GRE and scored 318/340. Can you please suggest me is my score sufficient to get a good US University for Gaming domain. Or should I contribute 3 more months to GRE ? I got GRE of 307(Q-160 V-147) on second attempt and I got AWA as 2.5 unfortunately and have 2 years of experience .In my first attempt I got AWA-4 but overall score was 300(Q-154 V-146).can anyone suggest how badly AWA is gonna affect my profile.should I go for revaluation given that I need to invest 60 dollars..has anyone applied for reval and got incremental score..Kindly suggest me how shall I proceed.Also can I submit both score so that they consider best score..Is that possible? Kindly help me as im breaking my head to make proper decision. how much time does it takes for GRE preparation? im doing 2nd b.tech when is the correct time for preparing GRE? Help me p/z!! 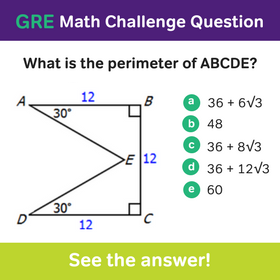 The GRE, unlike the SAT, can be taken any time of year so there is no correct time. Scores last for 5 years, so I recommend taking it when you have enough time to study.